Winners for several categories included below were not announced during BET's live broadcast of the awards show. We will update this page if and when they are announced by the network. 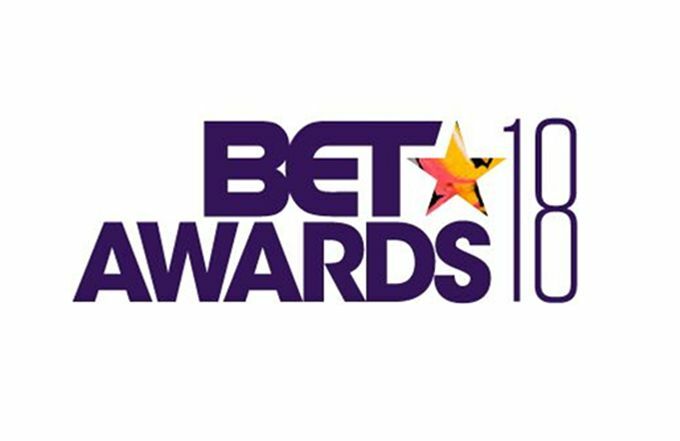 The 2018 BET Awards go down in Los Angeles tonight beginning at 8:00 p.m. ET on BET. The Jamie Foxx-hosted awards show will honor the biggest names in music, television, movies, and sports, and the night will feature performances from Nicki Minaj, Meek Mill, YG, Daniel Caesar, Jay Rock, YG, Miguel, Big Sean, and more. This year, DJ Khaled leads the way with a total of six nominations, including Video of the Year, Album of the Year, and the Coca-Cola Viewer’s Choice. Kendrick Lamar follows with five nods, for Best Male Hip-Hop Artist, Best Collaboration, Video of the Year, Album of the Year, as well as the Coca-Cola Viewers’ Choice Award. SZA and Migos also have four nominations each. If you're unable to tune in to the live broadcast, check back here to stay caught up on the winners. We will update this page as awards are announced throughout the evening.